The 45-foot tall curved panels of safety glass in Cupertino's new Apple headquarters have caused a problem for employees. They are smacking into the glass. It’s caused such trouble that some employees opted to stick Post-It notes on the glass, only to have them later removed because they interfered with the building’s aesthetic. Crafter by architect Norman Foster, the building was inspired by Apple co-founder Steve Jobs who reportedly described the building "a little like a spaceship landed." 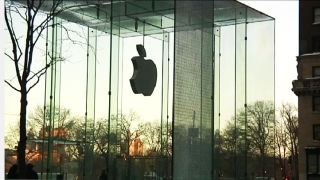 Time magazine reported that it is not the first time Apple’s glass buildings have caused a problem. In 2011, an 83-year-old woman walked into the glass of an Apple store, breaking her nose. Evelyn Paswall sued the tech company but the suit was later settled without any cost to Apple.